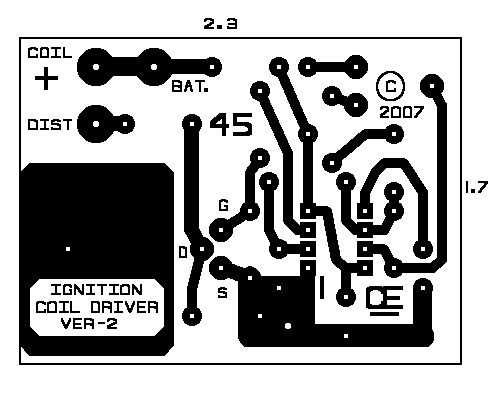 "A Car Ignition Coil Driver"
A NEW REVISED PCB & PICTURE OVERLAY. 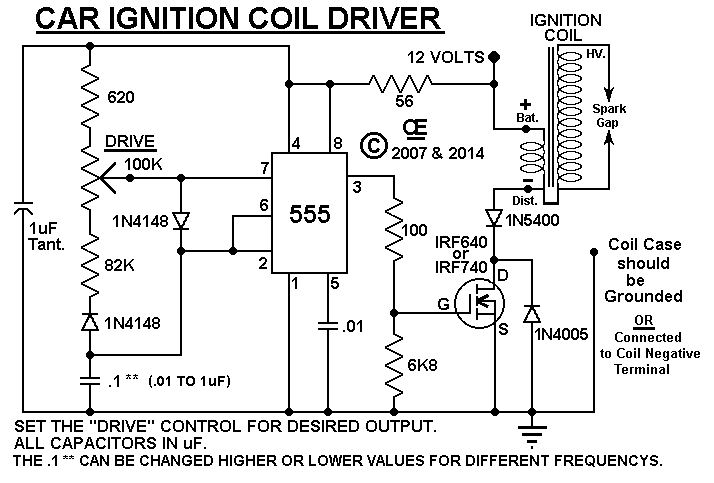 A Simple design based on a 555 to Drive a Car Ignition Coil. 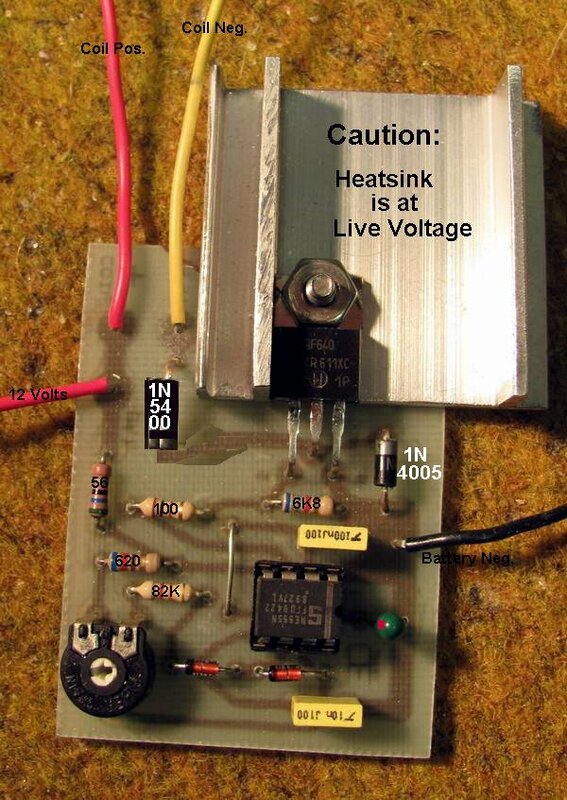 Definately Makes a STRONG HV Output from a Car Coil. PLEASE consider making the  "C-Mos Fencer" or the Fencer-2 Project. 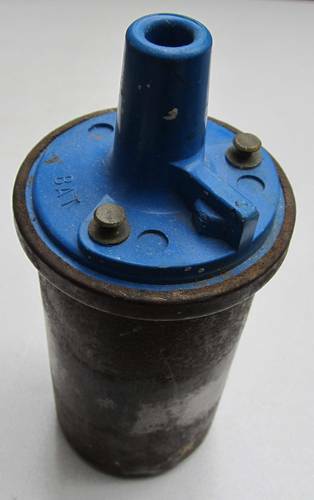 However this Car coil design can have many other uses as a HV Supply. Not much else I can say now, maybe more later. An Etched and drilled PCB's is available. "NEW, Picture Overlay of Parts". before installing it in a PVC Pipe case"